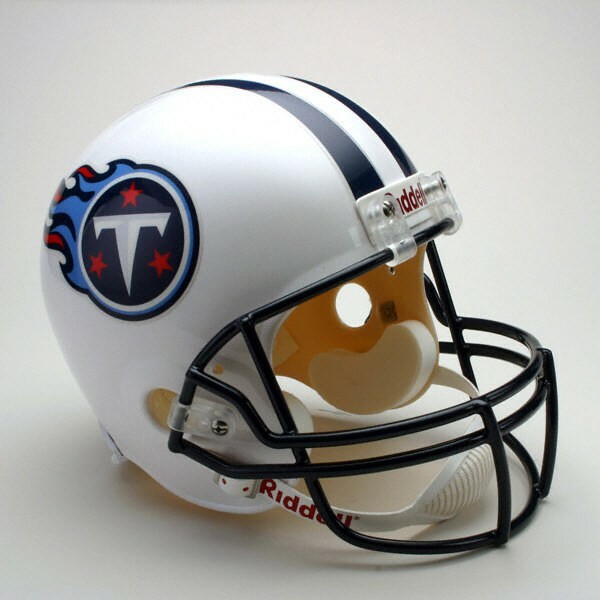 This Tennessee Titans Deluxe Replica Riddell Full Size Helmet is a replica of what the Players wear. This Tennessee Titans Deluxe Replica Riddell Full Size Helmet is a replica of what the Players wear. It features an ABS plastic shell, polyvinyl-coated steel -Z Guard- facemask, a foam padded interior and a snap-on chin strap and measures 13x9.5x10 inches. Helmet comes in the Tennessee Titans official colors and logos. Officially Licensed by the NFL .